Preparation Time: 15 min. Cooking Time: 0 min. In a food processor with the motor running, drop in garlic and chop. Turn off motor and add spinach, walnuts, cheese, onions and pepper. Pulse to chop to coarse consistency. Add walnut oil and 1 tablespoon olive oil. Pulse to blend and create a fine consistency. Pour into a 1½ cup container. Drizzle the remaining 1 tablespoon olive oil over surface to cover and seal. Just before serving mix in oil. 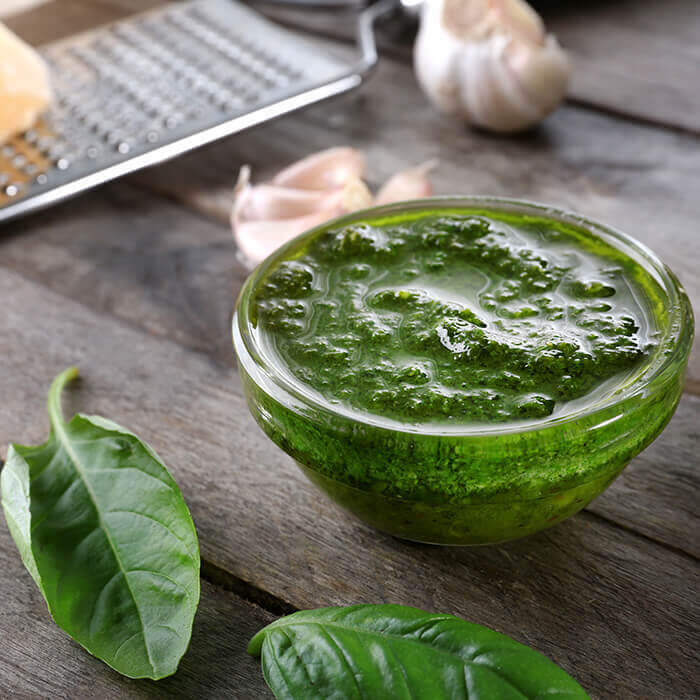 Use Onion pesto as a topping for pizza, add to cooked pasta, or soup as flavor accent. Tip: To toast walnuts arrange in a single layer on a large cookie sheet. Toast at 350ºF for 5 to 7 minutes.